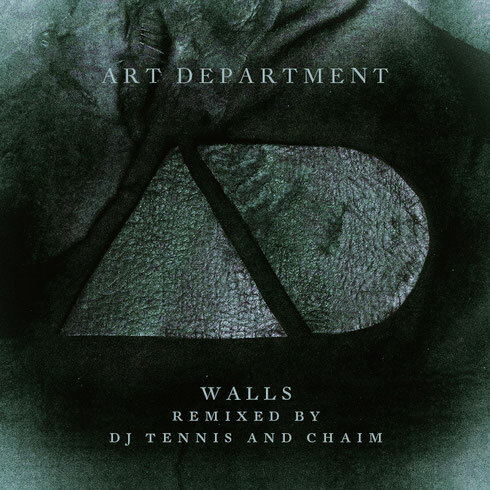 The latest remix package of Art Department’s Natural Selection album, sees DJ Tennis and Chaim rework ‘Walls’. The start of 2015 has become a big time for Art Department with Kenny Glasgow recently departing to focus on solo projects and Jonny White stepping up to take on the AD mantle alone, kicking off with a brand new compilation album for fabric. Exciting new directions for both parties sit against the backdrop of the still very much active sophomore Art Department album, ‘Natural Selection’, which saw the duo pick up plaudits from the likes of Rolling Stone, Mixmag and Clash Music to name but a few. Key tracks from the LP have been handed to some of the hottest producers around, the results of which are being released on No.19 through 2015. Hot on the heels of the recent Guy Gerber and &ME remixes, comes this latest mix package. It kicks off with Berlin based, Italian Life & Death records boss DJ Tennis at the controls. He strips back ‘Walls’ to its component parts and reimagines it as a stirring and emotive slice of underground house music that marries broken percussion, filtered arpeggios and moving pads to great effect. Defying any real genre classification this climaxes with a two minute beatless outro that is lovely. The second of the two mixes comes courtesy of Tel Aviv’s Chaim who wraps up the record in a warm cocoon of hypnotic drums and synths, and peppers it with tight edits of Kenny’s distinctive vocals. A deep, late night offering for any discerning dancefloor, the mix shows why this producer has been so vital to labels like Bpitch Control, Visionquest & Supplement Facts over the years.